When you take your four-legged friends on holiday, you want the break to be fun for them, too. The Good Hotel Guide has received feedback from travellers on where their pets have been warmly welcomed, and where they have been merely tolerated. 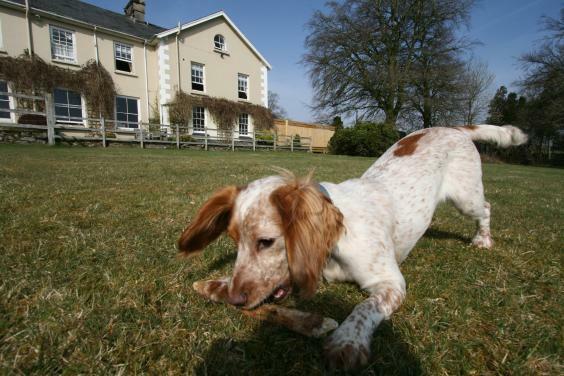 So hereâ€™s a selection of UK hotels where your well-trained canine companion will feel like a dog with two tails. 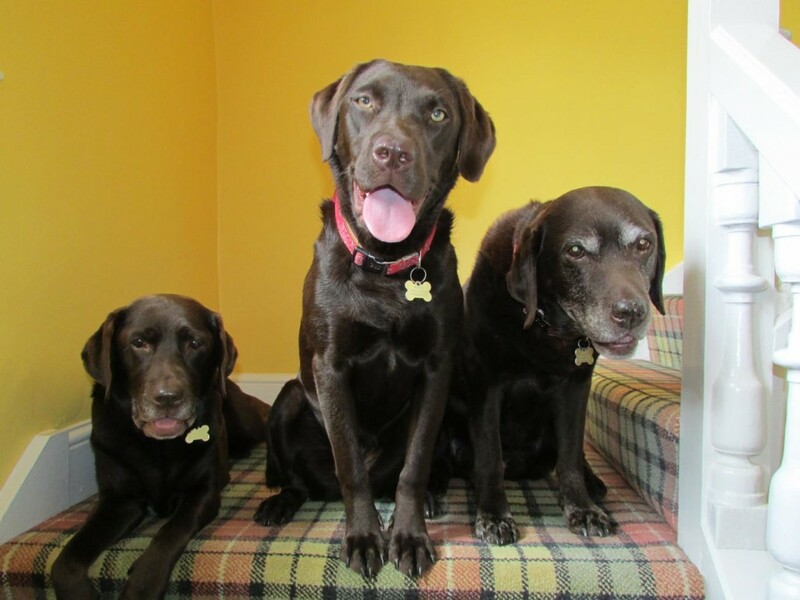 Chocolate Labradors Cassia, Mace and Saffron welcome canine guests to Elizabeth and Steve Moreyâ€™s restaurant with rooms in a former farmhouse set in 20 acres. For Â£10 per dog-night, a fleece blanket, towel, dog bowls and treats are provided. There are acres of gardens and grounds to explore (on short and long leash), with views across the countryside to Dartmoor, and the beaches of the North Devon coast a short drive away. Well-mannered dogs are warmly received at the Reynoldsâ€™ extended Georgian country house in the wide-open spaces of the Yorkshire Dales. There are lawns to romp on, peaks to scale, dog-washing facilities and a dog waste bin. Reasonable house rules and a modest Â£5 a night for each dog apply. Maximum two dogs to a room. The lucky pooch who bags one two dog-friendly ground-floor rooms at this small, secluded hotel on Babbacombe Bay can lap up a special â€˜dogâ€™s dinnerâ€™ in the bar on one night of your stay, perhaps after a frolic in the waves. Hosts Peter and Lana de Savary want the very best for their guests, â€˜including your four-legged friendsâ€™. A Â£20 charge includes a â€˜Doggy Heavenâ€™ welcome pack, bed, bowl, treats and a guide to local walks. Four self-catering cottages are also dog friendly (no supplement). This unusual country house with battlemented pediment stands in 18 acres of gardens and wooded walks, against a backdrop of Skiddaw and the Uldale Fells. Dogs who mind their Ps and Qs can join owners in bedroom, bar and lounges, at no extra charges. There is a dog-sitting service for those wet-weather days when a visit to a museum or gallery seems more inviting than a walk on the wild side. With two black Labradors of their own, the Prideaux-Brunes are avowed dog lovers, and though canines cannot set paw in their Jacobean ancestral home, they can stay by prior arrangement in any of four courtyard bedrooms with access to the grounds (Â£10 a night per dog). Staff will take your dog for a quick walk when required, and Thomas Hardy country lies all around â€“ far from the madding crowd. Canine hostess Polo and her two-legged friends Fi and Chris Daly extend a truly warm welcome to dogs and their owners at their18th century mansion at the heart of Dartmoor. There are grounds to roam, while doggie treats, refrigerated food storage, bowls, bucket, sponge, towel and outdoor tap for mucky pups are all available. You can take Poloâ€™s favourite walks along the River Dart, over moors or through woodland, while dogs are allowed in lounge and bar. No charge for one or two; just Â£5 a night for each additional dog. â€˜Bring your dog to Rannoch Moor,â€™ say owners Scott Meikle and Stephanie Graham, whose small hotel occupies one of Europeâ€™s last wildernesses, close to the surprisingly busy station. No TV or WiFi, just endless open spaces to explore. 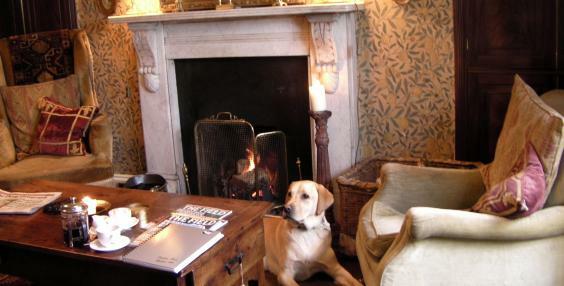 Resident Weimaraner Wallace, and beagle Stanley, romp in the garden or snooze by open fires. Visiting dogs are provided with their own beds (please bring bedding), are welcome in public areas, and get a complimentary sausage for breakfast. Hot dog! Dog-lovers Sally and David Ruthven-Fox lay on bags of treats for canine guests at their ancient loch-side house with private beach in 22 acres of meadow. 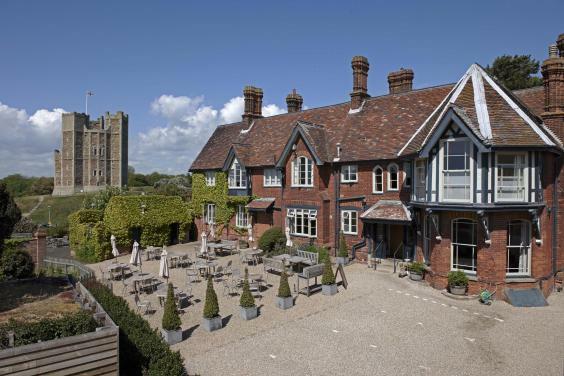 No access to main reception areas, but the four pet-friendly rooms open onto garden and grounds. Creature comforts include dog towels, food mats and bowls, protective bed covers and toys. There is a dog-sitting service (Â£12 an hour) and a charge of Â£10 per dog-night (maximum two dogs, by arrangement). Mutts on Facebook will like resident Spikeâ€™s page. Residents Pudgeley and Major are spacious canine hosts at Chris and Lisa Huttonâ€™s Italianate hotel in 14 acres. Dog bowls, treats, blanket, throws, refrigerated storage, spare leads, torches, outside tap, bucket and sponge are all provided, plus a guide to walks in the Cambrian Mountains and around Cardigan Bay. Your dog can have breakfast and dinner with you, by arrangement, in the conservatory. Charge Â£10 per dog-night. Please complete the below to submit your message.